It’s the biggest single event of the year. Everyone’s watching. You brought your A game. But then something entirely out of your control happens: the power goes out. It happened at Super Bowl XLVII. Think it can’t happen to your event? Or in your server room? What’s your backup plan for when it does happen? The best planners have contingencies. They expect the unexpected. And they deal with it like professionals. 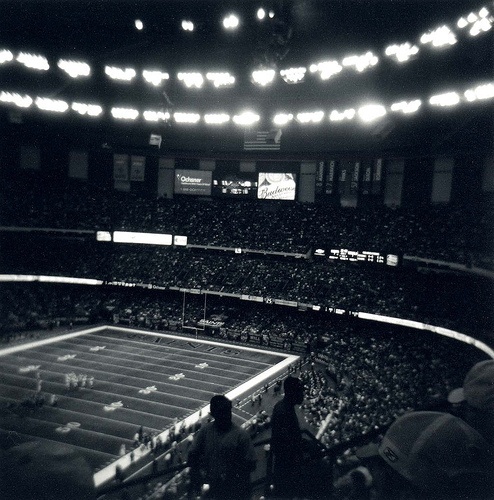 When the power went out at the Superdome, it seemed, for a few minutes, that even the television announcers were stunned, and for a short while, perhaps, even unable to communicate with each other. What if this happened at your annual meeting? What if your web server crashed? What if another Sandy-like storm deluged your headquarters? As the Super Bowl demonstrated, these aren’t just fear factors – they’re real factors. Believe it or not, events like these spotlight the advantages of cloud computing. Sure, anywhere access and less of your time spent on server maintenance (not to mention less money on environmental controls and, you guessed it, power) are taunting – and they are superb benefits of off-site hosting. But it’s the critical backbone piece that keeps you running, no matter what happens. That’s why we offer a 99.9% uptime guarantee. When your power goes out, you don’t have the option of cutting to commercial. Are you offline, out of control, and/or in crisis mode for 35 minutes? A day? A week? Can you even take that chance – especially with millions (okay, maybe thousands, depending on your membership/event size) watching? Don’t punt this one; check out Cloud Connection and see the real value in always-on, always-secure hosting for your IT infrastructure.